Known internationally for his articles in the New York Times and other publications, Andy Grundberg has been one of the most respected and widely read voices in photography and the visual arts for nearly thirty years. His interpretations and critical opinions have helped shape the broad understanding of photography’s complex roles in art and the media. Over the course of the fifty essays and articles in this authoritative collection, Grundberg questions the nature of photography and how we perceive it, reevaluates some of the great photographers of our time, and brings into focus the major debates in photography at the end of the twentieth century. Although some essays were originally written more than thirty years ago, the issues and concerns addressed by Grundberg are still relevant today. 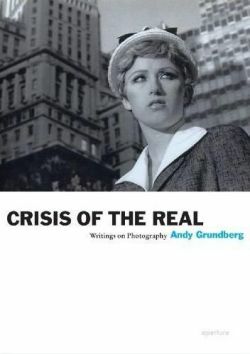 Aperture is pleased to reissue Crisis of the Real, a classic publication of important writings. This is an essential work for anyone seeking clarity and insight into photography’s place in today’s world.